To see how much power the Shorai could offer, I ran an early initial test, but the battery in my CBR was fairly old. Fortunately, the Kawasaki Z1000SX I had on long-term test came with a factory-fresh YT12A-BS – Shorai’s LFX18 is still the recommended equivalent. With the CBR’s ignition coils removed, I connected the batteries and ran the starter motor for ten seconds, with a rest of ten seconds between each burst. The hefty YT12 managed 24 ten second cranks of the motor before it was flat, which was matched by the Shorai. Impressive given the reduced form and weight, but not a deal-breaker for the cost. But, a lithium battery tends to hold a fairly steady voltage, then suddenly discharges, whereas lead acid drops more linearly. 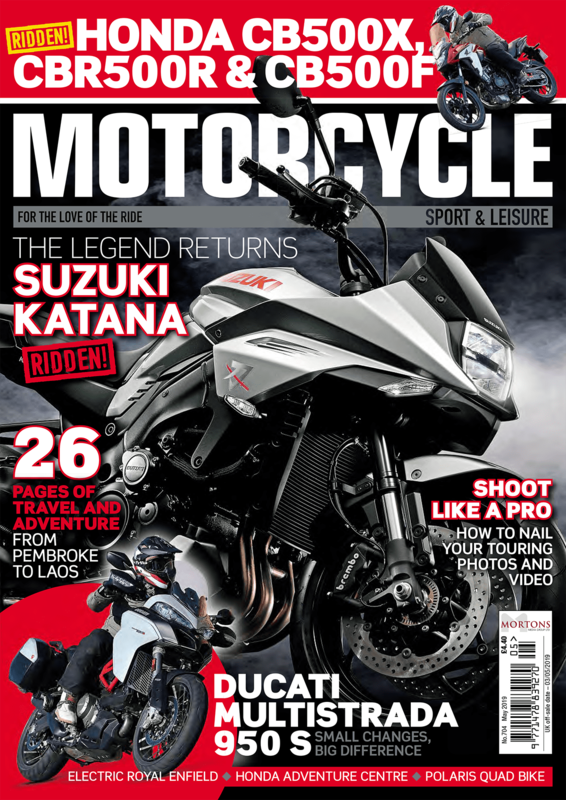 This means that a lithium pack should have more grunt when it’s nearly discharged than a lead acid, giving a healthy bike a better chance of starting if power is low. At around 20 cranks, both batteries were showing signs of tiring, but the Shorai would spin the first few seconds faster than the lead acid. The biggest advantage though has been seen since I fitted it to my Ducati Monster. Previous Monsters I’ve owned have been a nightmare to start – if they didn’t strike first time, I’d generally have to put the bike away, connect it to a charger, and find another form of transport. Since fitting the Shorai, I’ve never needed to charge it, and regardless of how long I’ve left the bike, it always fires first time. The standard Yuasa costs £55 – at three times the price, the Shorai isn’t cheap, but the reliability it’s given my big V-twin certainly makes it worth it. Lithium makes up just a small part of a battery, but there are a few different types: Lithium Polymer batteries are used in model cars and planes, but require a bit of care in use. Look inside your phone and you’ll most likely find a Lithium Ion cell. 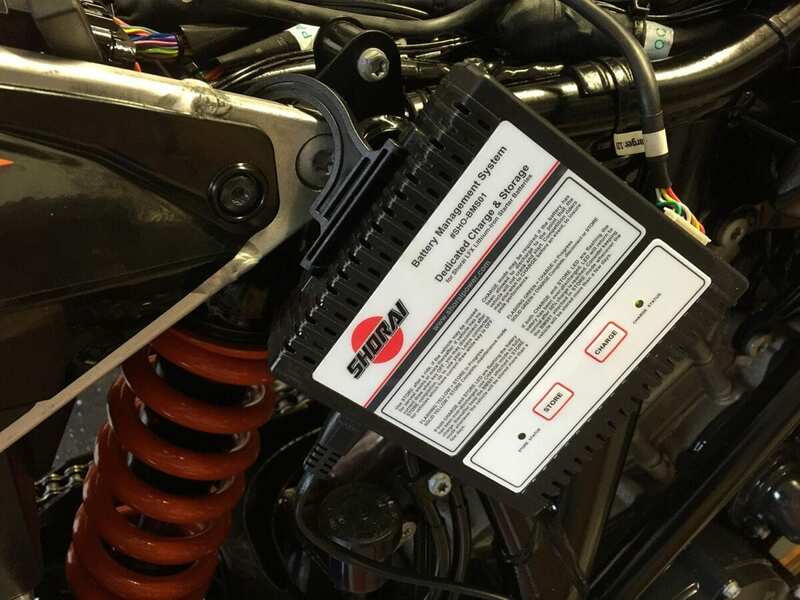 Shorai Inc use LiFePo4 – Lithium Iron phosphate – in its LFX powersport range of batteries, which is a safer chemistry, with a longer life and a greater ability to dump large amounts of current in one go (ideal for power-hungry starter motors). A ‘prismatic’ cell shape allows the maximum cell size to be packed into Shorai batteries; some other packs use traditional round cells, which can esult in wasted space inside the battery. 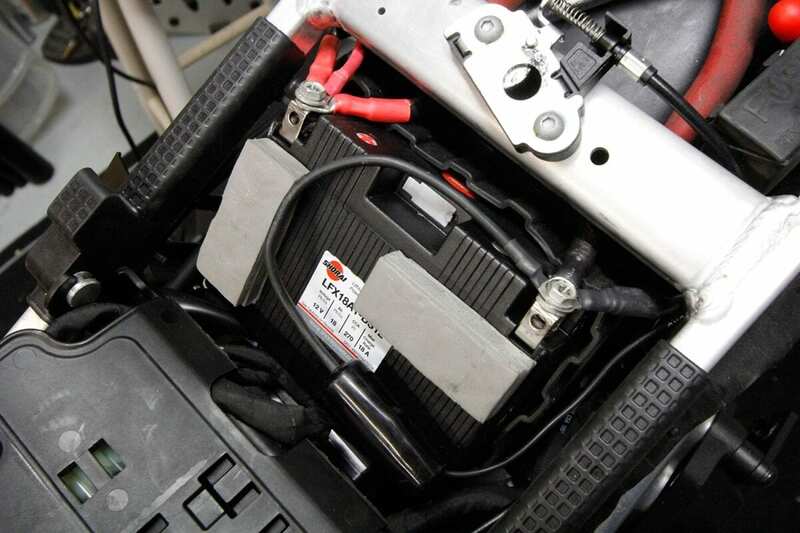 Lithium batteries can suffer in the cold, but they warm themselves as they get used – this can mean that in deep winter a bike might need to have its lights turned on first to get the battery up to performance, or the starter may need a couple of strikes.